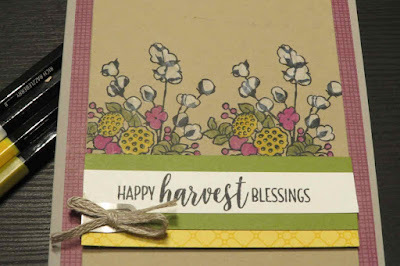 Karina's Kreations: Stampin'Up Country Home Card! I'm casing the Stampin'Up Holiday Catalog today and have a fun tip to share with you. 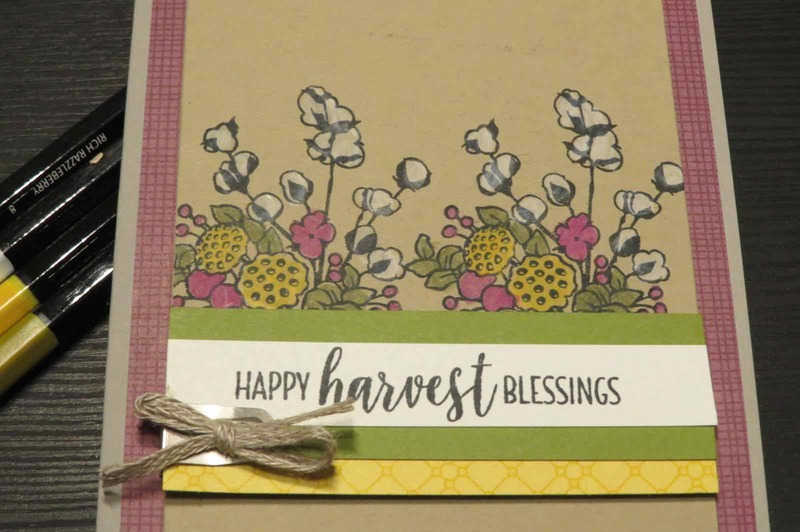 Did you know that by stamping the image on Crumb Cake card stock, you can color the flowers with watercolor pencils and a blender pen to get this fun result. I loving the County Home stamp set which will be my stamp set of the month. 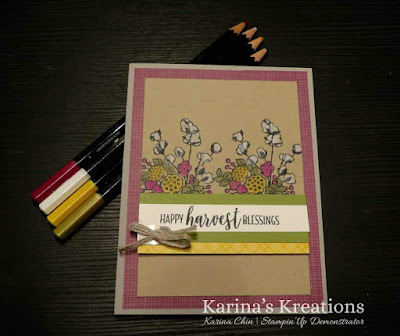 The cost is $30.95 and you will get three card kits and the instructions for making the card. Sign up here!